There are many cases when a consumer can come forward to avail the money or get an exchange for the product. The biggest hassle a retailer goes through is primarily with exchange of gold items bought from other retailers. 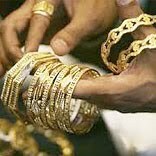 In many cases the products are family heirlooms or hand-made jewellery bought or gifted from unscrupulous jewelers especially in Lajpat Nagar market who are quoting ‘Bombay rates’ which are far lesser than the prevailing gold prices and are actually selling 14-16 kt in the name of 22kt gold jewellery. This kind of jewellery manufactured through handmade and traditional means can have a high percentage of solder made from non precious metals which highly depreciates the real value of the item. In some cases, items like bangles, etc. have silver or copper wires inside, so while exchanging these products a retailer need to check by cutting them at multiple places to ensure they do not have a filling inside. In these cases it becomes a challenge to make the customers explain the technicalities of gold jewellery manufacture or how they actually have purchased 16kt gold jewellery in the allure of lower gold prices. The normal customer is grossly mis/undereducated about the jewellery manufacturing processes. Even minting a simple gold coin involves many steps from refining, melting gold, printing blanks, making a dye, etc. So when you buy a Swiss made coin from a bank you can pay a premium of upto 20% on the gold price. While “Bombay gold rate” quoting jewellers have selfishly spread misinformation to consumers, quoting lower gold rates and negligible making charges, but passing off 50% purity gold as 22 karat. This has created a lot of confusion in the mindset of the most consumers, a confusion we encounter while processing exchange transactions as well. Government should come up with compulsory BIS hallmarking of jewellery at the earliest to check such unscrupulous practices in the name of ‘Bombay gold rates’. There should be no case of losing the customer, if the retailer looks in the customers’ requirement. Whether you exchange or not, but the customer should be convinced and satisfied. Educate the customer about the hallmark jewellery. With wider adoption of BIS hallmarked jewellery, it will be much more easier for exchange of jewellery between different jewelers across the country. Most customers are expecting hostility, arguments or indifference from the staff and are pleasantly surprised when a token of respect such as a soft drink or a cup of tea is presented, while the issue is being processed. This almost always makes them leave with a smile, come back again along with many other references. For long term retention of customers retailers should provide a consistent exchange policy to their clients preferably with written terms and conditions of exchange and buy back that are provided along with each sales transaction. 1. We treat exchange customers with no disrespect or difference, and do not ask them to come at lean hours. 2. They are also offered common courtesies like soft drink/tea etc. 3. We have sensitized the staff to look at the customers’ perspective, and be compassionate towards his issues. 4. Our key idea is to ensure that the customer goes back happy and satisfied. 5. Personalized service and home deliveries in case there is some alteration issue is generally an add on to ensure customer delight. Tribhuvandas Bhimji Zaveri, one of the reputed jewelers gives 100 percent return on jewelry bought from them to encourage consistent sale.